If you’re one of the more than 150,000 Americans who has decided to “get your side hustle on” by driving for Uber, this might be the first time you’ve taken on the responsibilities of self-employment, including reporting business earnings on your income tax return. Even if you’ve reported self-employment income before, ridesharing is a bit different than other businesses, offering unique challenges and opportunities. Here's how to understand your Uber 1099s. You’ll report the income you earn as a rideshare driver on Schedule C, Profit or Loss from Business, which you’ll file along with Form 1040. If you earn self-employment income from a different type of business, such as Airbnb hosting services, you’ll need to file a separate Schedule C for that business. The same is true if you earn income as a wedding singer, yoga teacher, or anything else. Generally, each separate type of business you run requires a separate Schedule C. You’ll enter the total income from all of your businesses on Form 1040. You’re probably accustomed to receiving a W-2 from your employer to document your earnings. 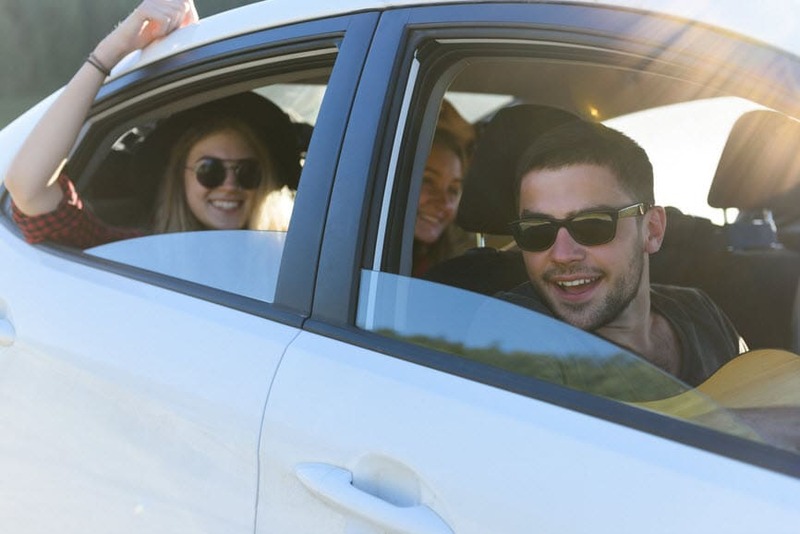 If you have a “day job” in addition to your ridesharing gig, you should receive a W-2 from your regular employer and file it with your tax return as usual. Form 1099-MISC for any other income you’re paid, such as bonuses or referral fees. Since Uber provides this information directly to the IRS, you don’t have to include the 1099s with your tax return. But you should definitely save your 1099s with your other tax records. Ridesharing companies are required to issue 1099-Ks to drivers who earned more than $20,000 for the year and received more than 200 payments. And they’re required to send 1099-MISCs to drivers who made $600 or more in referrals and other income. Uber, however, provides both documents to all of its driver-partners to remind them about reporting their income and to help make filing their taxes easier. Whether you receive 1099s or not, you’re required to report and pay taxes on all the income you receive from your ridesharing service. Uber also provides its drivers with a third document, known as a tax summary. The Uber tax summary isn’t an official tax document. It’s simply a form that shows your 1099-K and 1099-MISC incomes on one page. It also shows selected expenses you can likely deduct on your Schedule C.
Uber drivers receiving a 1099-K for the first time often are surprised to see that the income reported is greater than the amount they actually received in payment. That’s because IRS tax rules require Uber to report the full amount the customer paid, including the company’s commission and other fees. Don’t worry. You can likely deduct the extra amounts on Schedule C.
And other taxes paid over the course of the year, all of which can usually be deducted from your business income. The tax summary also provides annual amounts for “other items” included in the 1099-K gross amount, including the Uber fee and your device subscription amount. This is all part of your business mileage. However, you’ll need to keep your own records of your off-trip mileage. However, you can only deduct the portion of these costs and fees related to your business. You must calculate the portion of each expense that was for your business and deduct only that amount on your Schedule C.
Since you are self-employed, you also are likely required to file a Schedule SE for self-employment tax. This is the portion of your Social Security and Medicare contributions paid by your employer—in this case, you, plus the amount paid by the employee - again, this is you. Fortunately, one half of your self-employment tax can be deducted from your total income on line 27 of Form 1040 for calculating your income tax. Driving for Uber can be an exciting adventure as you meet new people and add to your income. The taxes are a bit more complex, but getting them right is part of the accomplishment of being your own boss. Remember, with TurboTax, we’ll fill out all the right forms for you to maximize your deductions.